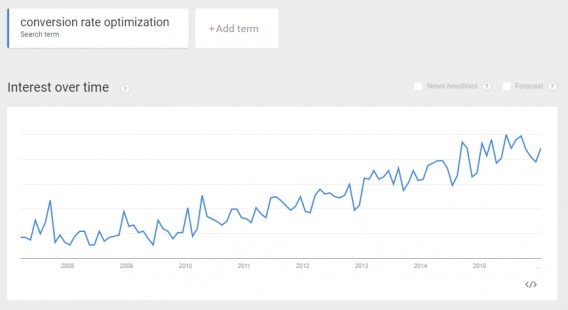 According to Google Trends, the term “conversion rate optimization” is an official “breakout”, meaning “searches for that phrase have jumped by +5,000 percent” over the last few years. While this proliferation of all things CRO is good news for the industry, it does have one painful drawback. For most websites, the biggest barrier to CRO lies in one of its most fundamental commandments: thou shall test. The question becomes… what do you do if you don’t have enough traffic to run valid tests? What if you don’t have the resources? In the absence of testable traffic and the necessary resources, qualitative research and these nine principles will set you on the right path. Note that these principles are among thousands you should consider and are merely examples of low-hanging CRO fruit. Note: if you can’t test, best practices and guidelines help. See a ton of ecommerce guidelines & testing ideas in our comprehensive ecommerce guidelines report (245+ guidelines specifically for ecommerce). Back in 2009, Google conducted experiments which demonstrated that slowing down the search results page by under half a second resulted in 0.2% to 0.6% fewer searches. Those might not sound like big numbers, but for Google — which processed roughly 40,000 searches every second — that resulted in 14,400 less searches every minute. Today, people have become a lot more impatient. It may not be the most glamorous facet of selling online, but it’s clearly one of the most important. Amazon carried out their own research in this area and discovered that, for every 100ms of page load time, there was a 1% decrease in sales. Put simply, people are in a hurry, and aren’t likely to hang around if your website under-performs. As evidence of the difference speed can make, back in 2013, Walmart.ca increased conversions by 20% across all devices and orders on mobile by 98% simply because they invested in speed and responsiveness. What’s more, just last year, when Walmart.com lowered its load time from 7.2 seconds to 2.9 seconds, every second saved increased their overall conversions by 2%. 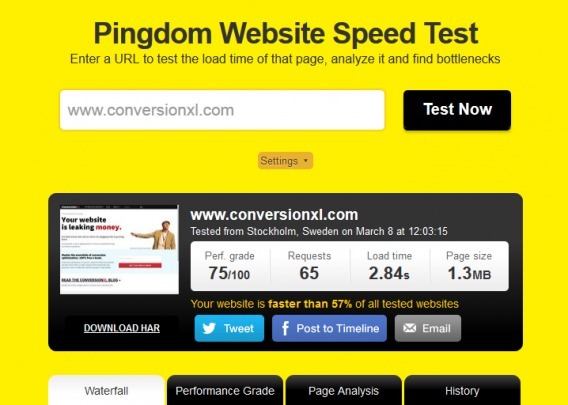 Check the speed of your website with a free tool like Pingdom. Pingdom provides a graded scale, time, and a list of what to improve. Use a caching plugin for WordPress websites or install one at the hosting level; W3 Total Cache works for both. Reduce image file sizes with a plugin like WP Smush for your existing images or use Optimizilla before you upload them. If your site receives a high volume of globally distributed traffic, third-party solutions can be a tremendous help. For AWS users, a network optimization tool such as Datapath.io on average improves latency by 60%, thereby decreasing RTT (Round Trip Time) from 3.7 seconds to 1.6. 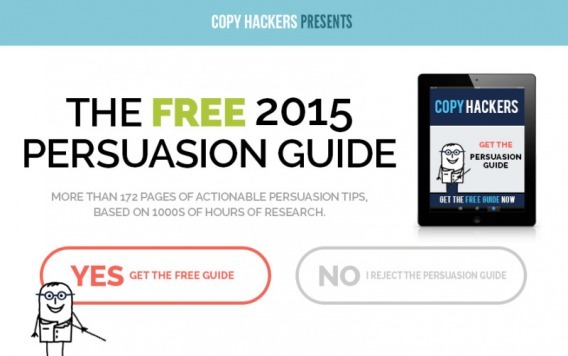 Many landing pages contain multiple offers. On the email marketing front, Whirlpool went from four separate CTAs down to just one and improved their campaign’s click-through-rate by 42%. The takeaway here is simple: less is more. Less distractions, less options, less roads out… all equal more conversions. By way of critique, I’d recommend E-file remove the header “Log in” option as well as the entire footer. Additional elements like that dilute the central CTA. Before you do anything, identify exactly what your own one goal of the page or email will be. Don’t give your readers any other actionable options other than that one goal. Be careful using social buttons. Test to see whether conversions increase or decrease with varied numbers. While you can certainly have multiple CTAs in the sense of having multiple buttons, each and every CTA should direct visitors toward your one, central goal — the next step in your funnel — and be built around the keywords that got them to your page or email list to begin with. What if a reader wants to like my Facebook page? What if the user would like more information about my services? What if they want to read more about my testimonials or case studies? For example, if your page’s goal is to get visitors to subscribe to your email list or actually buy something, then that’s all you should focus on. Every element on that page needs to support that one goal and pass the ruthless test: does this get my visitor closer to action? The most notorious place for clutter is the homepage. Given the diversity of audience your homepage gets, the desire to give them plenty of “what if” options is natural. The results? 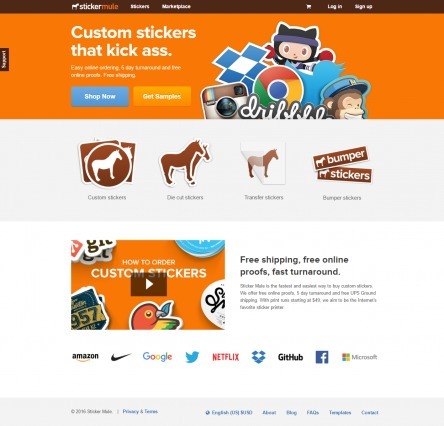 Adding all of their products to the homepage hurt revenue by nearly 48%. As Tyler Vawser, VP of Content at Sticker Mule told me, the old version won all of their tests and remains their current homepage. Irrelevant images are the bane of low-converting product pages and ads. 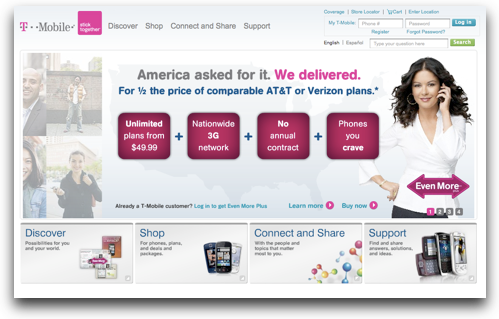 T-Mobile learned this lesson the hard way when they featured Catherine Zeta-Jones predominantly in a series of ads. Bear in mind, all this talk of simplicity isn’t about the length of your page…there are winners on both sides of the long copy vs. short copy debate. Instead, it’s about sticking to the point: the action, the whole action, and nothing but the action. Know your one goal…and then ruthlessly cut anything that distracts from it. 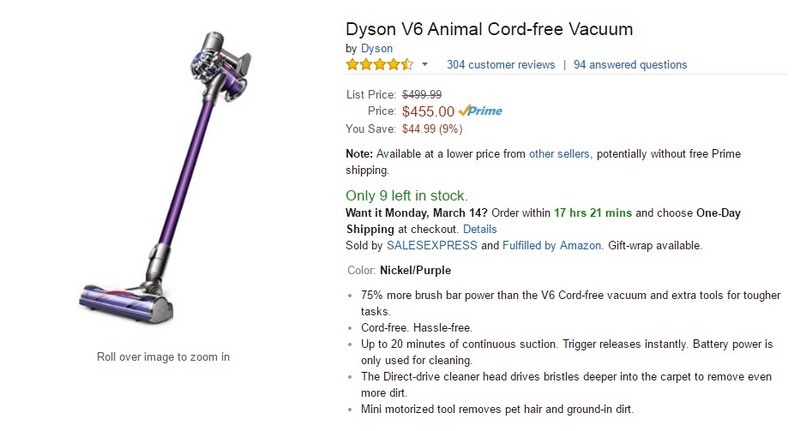 Be especially ruthless with products and product images: prioritize relevant visuals (namely, high-quality product images) over stuff that’s just “pretty” (e.g. people and places). Make purchase decisions easy on your audience by giving them pre-set options rather than something fully customizable. 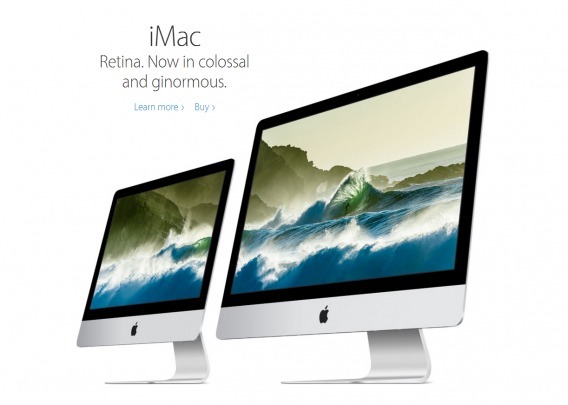 Lastly, the golden rule of simplicity is to add plenty of whitespace to every design. The funny things is… those two aspects are really one: people. In other words, CRO is about them, not you. And who exactly are they? Clarity means never assuming your audience knows anything. In fact, we’ve immortalized this principle in the cute acronym KISS: keep it simple, stupid. Why is clarity so vital? Because until someone truly understands, you don’t stand any chance of converting them. Attention and desire speak to the heart. Clarity addresses the mind. This means the first step toward clarity is meeting your audience’s expectations head on. If you’re driving traffic to a page using PPC, then your headline must also include the same keywords that your ad contains. This is often called “scent” and creates a clear trail of connection between your visitor’s search, the ad, the landing page, and the CTA. Besides the clarity killing first three words — I have no idea what Garcinia Cambogia is — the rest of the ad does address one of my keywords (“lose”). It creates the expectation that upon clicking, I would find out how to lose weight without the gym and for just $5. Notice the complete lack of clarity between what I was looking for (the search), what I was promised (the ad), and what I got (the page). 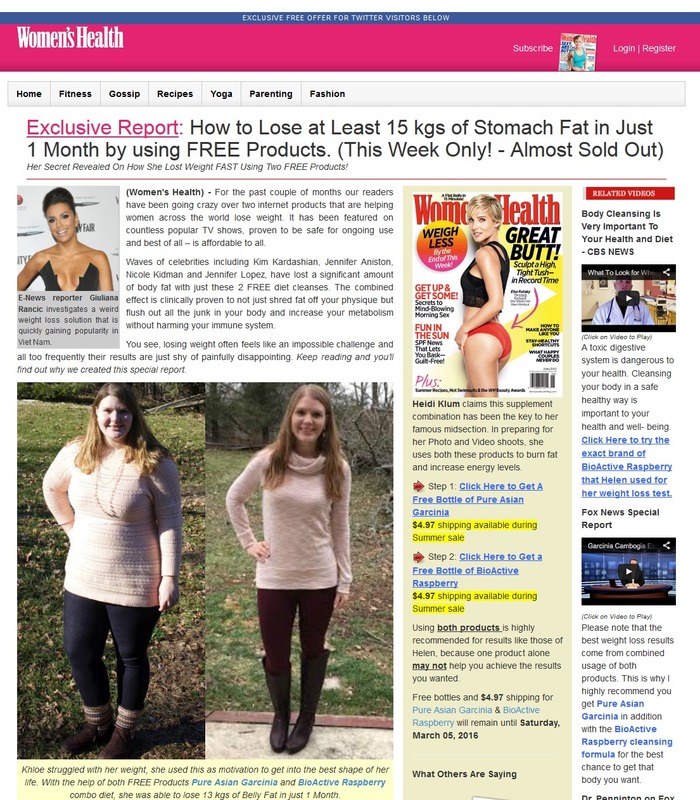 The ad was about losing weight without the gym via a $5 solution and yet the page itself — a page that the company is paying to drive traffic to — contains nothing about weight loss without exercise or the $5 solution. Now, take this example from When I Work for the search term “easy scheduling app”. Then, the landing page. 17 times the keyword “schedule” or “scheduling” appears in the headline, the subheads, the body copy, the CTA buttons, and both of the testimonials. Don’t underestimate the converting power of clarity. The second step in clarity is explaining… everything. This is especially key in technical industries. The problem [with enthusiastic statements like, “I could build this on the Twilio API” or “I could learn that new CSS framework”] is that all of this is focused on us, the creator, and not on the customer, the consumer. We’re not. What’s “normal” for us is often alien to our customers. If we’re actually going to sell products, we need to quit thinking about what’s cool to us, and focus on what customers actually need. This doesn’t mean you can’t use technical language on high-converting pages. But it does mean you have to lead with the real-world benefit before noting the features… and always explain those technical elements in words your “lazy, stupid, and mean” audience will understand. Dropbox Business does this beautifully. On their landing page, technical jargon has been eliminated almost completely. Unlike a great deal of B2B sites, the page communicates like one human talking to another. 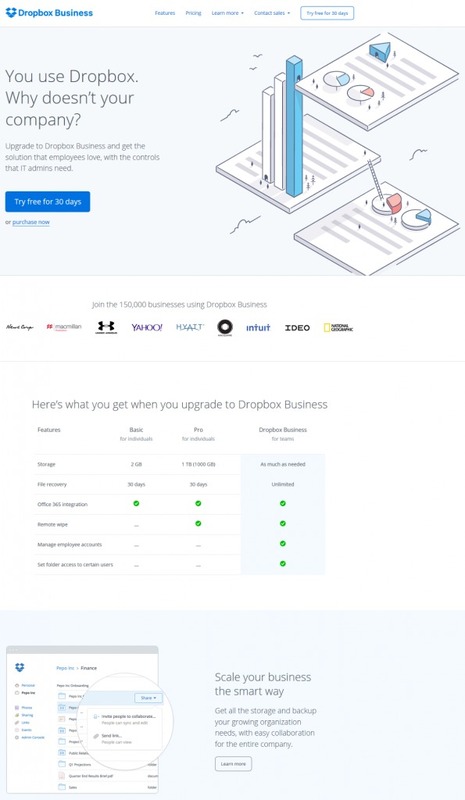 Instead of getting bogged down in dense compatibility issues, security features, or IT nonsense, it appeals directly to its intended audience — current personal Dropbox users — while at the same time allowing “IT admins” to drill down where needed. Meet your audience’s expectations by creating a strong “scent” between the keywords in your ad, email, or original CTA and the page they’re directed to. Don’t get too clever: call products what they are. Avoid technical language and jargon as much as possible. Lead with the benefits… then unpack the features or, even better, offer “To Learn More” links, pop ups, or page expansions. If “clarity” is rooted in the truth that CRO is about them not you, then “identification” is where that truth comes to life. More than that, the next three principles — attention, desire, and fear — are deeply rooted in first identifying the right people. To identify with the right people, you must know them. After all, the reason why sales and marketing exist in the first place is to address one group of people, not all people. Knowing your audience’s aspirations, lifestyles, attitudes, and opinions are non-negotiable. This means researching your audience before putting anything on paper… or on a screen. If you want to increase conversions, you have to figure out who exactly is your primary target audience, what they want, what matters to them and what the sources of friction are for them. One way we try to approach our audience with empathy is by actively participating in the community and feeling their needs — be this in the support inbox, in the comments section, or on social. It’s hugely helpful to turn the questions we get from customers into blog posts and landing pages with answers. The easiest way to get to know your audience is to visit the websites they frequent, hang out on social platforms they spend time on, pay close attention to the keywords they use, and pay even closer attention to the words they use in forums, comments, and reviews. This deserves special emphasis… it’s what’s known as review mining. 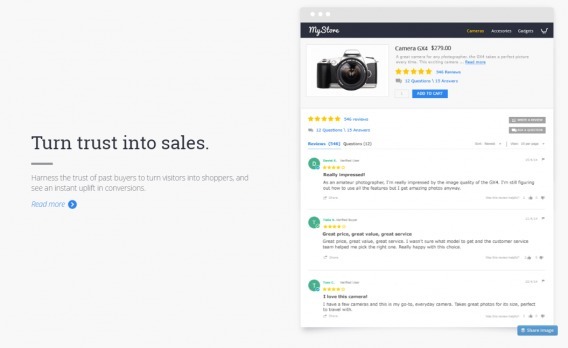 By digging into customer reviews on sites like Amazon, Yelp, Angie’s List, TrustRadius and your own customer feedback, you get word-for-word scripts from the people you’re trying to reach. Jen Havice walks through this process in How To Write “Compelling” Copy When You Don’t Have An Audience. I employed this same principle for a client that sold Spanish and ESL curriculum kits to elementary schools. Unfortunately, we didn’t have access to a wide variety of our own customer feedback, so instead we dug into the reviews of our competitor’s products on Amazon. What we discovered was that customers weren’t writing about the various teaching methods, learning styles, or student test scores. Instead, their number one complaint was that the “free samples” they’d been given didn’t actually match the curriculum they bought. From the lowest CTR of 0.11%, to the highest of 6.85%, those audience-driven changes generated a 6,127% increase in click-throughs. If you know who your target audience is, you’ll know how to address them. If you know how they think — especially their objections and pain points — you’ll understand how to write and prioritize your copy. Most importantly, if you understand how their life will become better because of what you offer, you’ll know how to enter the conversation already taking place in their mind… as well as their heart. Every page or email must have a single target market… just one. Get to know that single target market by spending time on the sites and social platforms they already frequent. Pay special attention to their comments. Dig deeper by pulling out word-for-word scripts from review sites like Amazon, Yelp, Angie’s List, and TrustRadius. Conduct your own voice of customer research through surveys and questionnaires either on your site or via email. It’s now common knowledge that every page has roughly 8 seconds to grab attention. If you fail, your target audience will be whisked away by a simple click. In other words, your pages need to grab your audience by the throat… and keep hanging on all the way to the click. Conversion optimizers are in the business of attention management, just like magicians. Attention is a state of mind that you can’t assume your visitors will even enter if you don’t give them the right conversion experience. A good conversion experience is one in which your visitors are compelled to pay attention and ultimately interact with your conversion goal – clicking the Call-To-Action (CTA). Grabbing and maintaining attention means more than just making sure your pages have one driving goal and eliminating everything else. In fact, we can go further than that and get theological: high-converting pages — regardless of the industry — are about salvation, not sales. What hell will this page save my reader from? What heaven will it deliver them unto? In practice, the headline is the most important element to engage your target audience. Be specific (use keywords), clear about the benefits — hell versus heaven — and, as a general rule, stick to less than 20 words. Connection: Does your subheadline retain and support the same thought, concept, or dominant emotion in your headline? 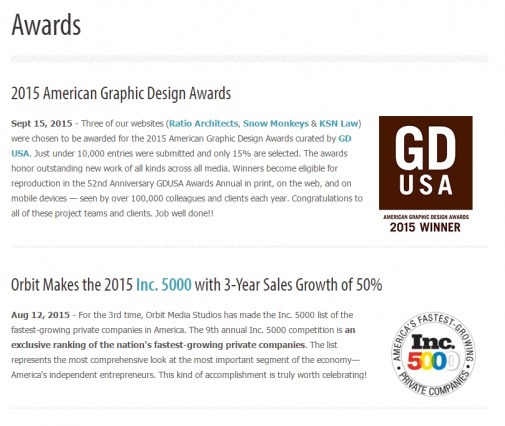 Qualify: Does your subheadline narrow your audience by adding qualifications? Intensify: Does your subheadline amplify the one dominant emotion from your headline? Push: Does your subheadline push the reader into the first sentence to find an answer, solution, or explanation? Each subhead unpacks a specific benefit of a specific product feature. Additionally, each subhead goes after a separate, but interrelated heaven associated with eCommerce: sales, marketing, and search. My only critique of Yotpo would be that its subheads lack directness. While the body copy speaks to the reader conversationally, none of the subheads include the magical word “you”. Use keywords in your headline and subheads. Ensure your subheads “connect, qualify, intensify or push”. Always write directly to your audience by using the word “you”. Naturally, desire is a subset of attention. Think of it as the bright side of the coin as opposed to the dark side. But what exactly is desire? In his 1966 classic, Breakthrough Advertising, the legendary Eugene Schwartz defined desire — “mass desire” — as “the public spread of a private want”. The power, the force, the overwhelming urge to own that makes advertising work, comes from the market itself, and not from the copy. Copy cannot create desire for a product. It can only take the hopes, dreams, fears and desires that already exist in the hearts of millions of people, and focus those already existing desires onto a particular product. 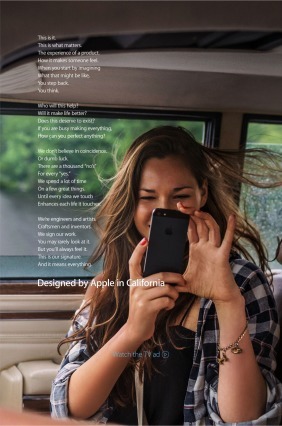 This is the copywriter’s task: not to create this mass desire — but to channel and direct it (3). What Schwartz says about “copywriters” is equally true of CRO experts. Never introduce work in your CTA copy. It doesn’t matter that, in fact, they will have to sign in to watch the video; all that matters is what the end user wants. What do they want? To watch the video. So test CTA copy that reads something like “Watch the Video” (and then add a few words about the value of doing so). 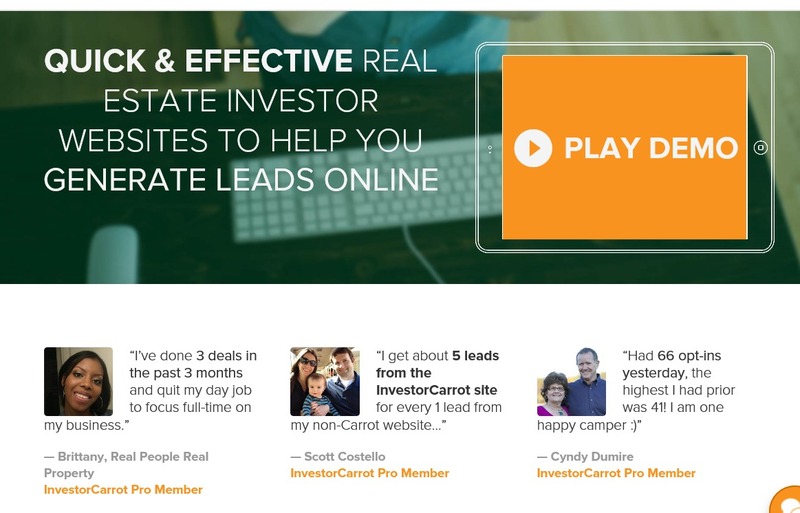 Whatever finishes the phrase “I want…” shouldn’t just inform the copy on your CTAs, it should inform your entire page. 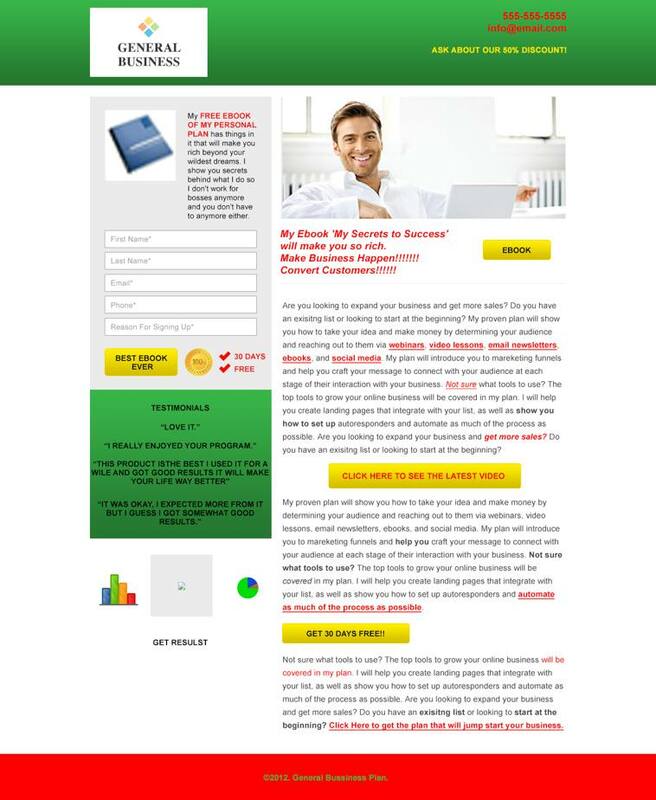 To illustrate what not to do, let’s look at what is perhaps one of the worst landing pages of all time. In addition to a host of design issues — stock image hero shot, left-aligned opt-in box, inattention to “space dimensions”, too many CTAs — the real sin of this page is its absolute inability to cultivate desire. What Makes It So Lifeless? The headline is blatantly self-serving and grabs — nay, gropes — at the lowest common denominator: greed. The rest of the copy screams, “Get rich quick!” through the use of empty superlatives, empty testimonials, and empty keywords littered in red. While the body copy uses phrases like “proven,” “show you,” and “help,” no proof is offered and no explanation unpacks exactly how the reader will be shown and helped. In contrast, consider these desire-driving pages. Apple is famous for their ability to create desire, even for products you didn’t know you wanted. Even the product display images they use on their sales pages scream desire. Similarly, Weight Watchers channels all of Oprah’s enthusiasm, optimism, and authenticity. Lean on social desire — i.e. likability and social proof — by featuring testimonials that are either story-driven or backed by data. Use hero images that vividly enflesh the desire your product or service aims at. Add logos of prominent customers. Again, this creates the social desire to be associated with successful brands. Fear is the dark side of attention. Why focus on fear? Because fear is the most primal and powerful human motivator; fear has helped our species survive for millennia. The last 50 years of empirical research on fear-arousing messaging has shown evidence that high fear messages are generally more effective than low fear messages in changing people’s actions, intentions, and attitudes. In the modern environment, too, a “fear appeal” posits the risks of using and not using a specific product, service, or idea such that if you don’t “buy,” some particular dire consequences will occur. Because of this, fear does all sorts of wild and deeply physiological things to both our brains and our bodies. Using fear for CRO goes right back to the second of the two overarching theological questions from attention: What hell will this page save me from? What will happen if your reader doesn’t take the action you want them to take? Break out in hives? Embarrass themselves in front of their clients and colleagues? Lose business? Declare bankruptcy? What current pain will they be forced to continue living with if they don’t take action? Will they be damned to loneliness, ignorance, or failure? Those are extreme examples — and you can’t overplay your fear hand — but you do want to put the thought in your reader’s mind that if she doesn’t take action right now, she’s going to lose out big time. Then, amplify the problem in your opening paragraphs. “Tap their anger, resentment, guilt, embarrassment, fear—any and every applicable negative emotion. Only after forcing your audience to see their problem in all its horrifying glory, do you then present the solution. In addition to good-old-fashion terror and pain, urgency and scarcity are two more negative emotions with huge converting upsides. However, you have to leverage them without the sleaze. Structure your page or email around the PAS formula: problem, agitation, solution. 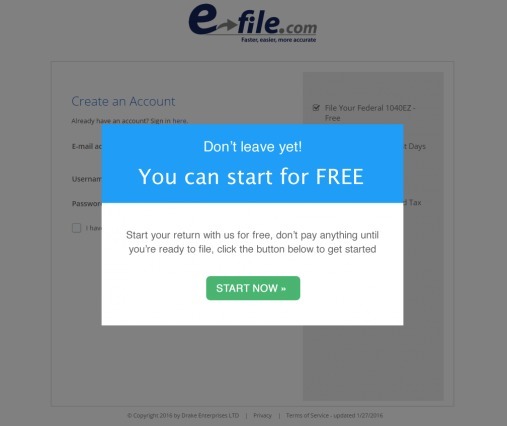 Write the copy for your “painful” button — the opt out — using negative consequences. Add scarcity and urgency using countdowns for availability and time. Beware of manufacturing and overusing scarcity and urgency. Always be honest, otherwise you risk coming off as disingenuous. Trust is a big deal online and extends way beyond eCommerce. To make matters worse, visitors will determine the trustworthiness of your site in less than a blink of an eye. People form an opinion about a website in about 50 milliseconds. What’s more, in a study conducted by Consumer WebWatch, a company’s perceived “credibility” overwhelmingly came down to something that at first, sounds incredibly superficial. Key takeaway: Great design gets people to trust you and to stick around. Poor design creates mistrust and makes people leave. 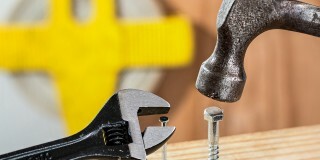 So, how can you optimize for trust? Peep covers 39 Factors in his Website Credibility Checklist; I’ll narrow that down to just three. As lame as it sounds, people will trust you if you look good. That’s true in life and it’s true online. You are not your own best salesperson; the people your audience already trust are. Going back to Cialdini, this is what’s known as social proof, something we touched on under desire. However, other people are so vital to trust — and trust is so vital to CRO — that it bears illustrating. What forms can these “other people” take? In Is Social Proof Really That Important?, Shanelle identifies 9 separate kinds of social proof: 6 “traditional types” and an additional 3 “new types”. Again, I’ll boil that down to less than a handful. Prioritize and invest in professional design: clean, uncluttered, and (to drive home just how shallow your visitors are)… pretty. Make your contact information constantly visible and available. Use other people in the form of testimonials and logos to establish social proof. While I wish it could go without saying, it can’t. The final ingredient is actually being trustworthy. 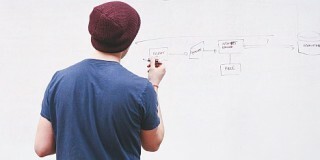 Conversion rate optimization is complex. Professional optimizers follow specific processes, which you can learn about here. But when you’re just starting out, without the traffic or resources to run a valid testing program, principles like these can be a lifesaver. After all, there’s more to CRO than A/B testing. Aaron's a contributor at Entrepreneur, Fast Company, Business Insider, Success Magazine, Copyblogger, MarketingProfs & Unbounce. You can check out how he's "Saving the World from Bad Content" here at iconiContent. You just made my day. 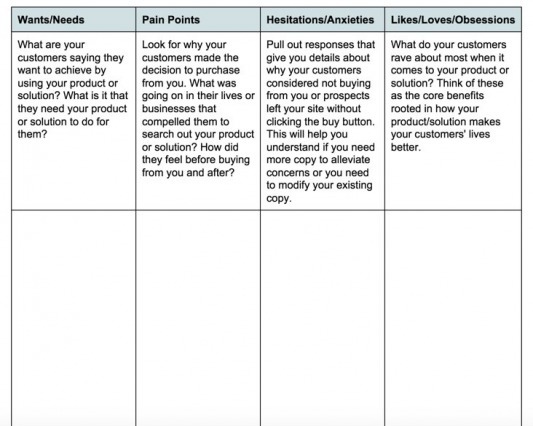 This is the best article about essential cornerstones in Conversion Optimization I have read since..ever..I guess. Great use of examples too. Thanks so much for such a glowing response. I’m gonna file that one away for a raining day. But seriously, it means a lot to hear how helpful it was. Thanks, again! Great post guys and pretty darn cool on the mention! Had to look twice when I saw our site on the post! I’m a loyal reader and you guys keep bringing amazingly detailed content. Kudos Aaron. Love what you guys are doing … esp. on the niche front. In fact, I think your SEO guide for Real Estate Investors is gonna be a part of my Copyblogger article that coming up soon on landing pages. Stay tuned. I’ll be sure to bug you if it makes the editorial cut. I feel happy about and I love learning more about this topic. keep sharing your information regularly for my future reference. This content creates a new hope and inspiration with in me. Thanks for sharing article like this. Dang, that’s a beast of a post Aaron! Another point on speed: the foundation of a fast site starts with a solid web host. On top of improving conversions, it also is a factor in improving your ranking in Google (source: https://moz.com/learn/seo/page-speed). Decibite (https://Decibite.com) is what I’ve used for hosting. Dollar-for-dollar, they beat the competition both in resources given to speed up a site (in the magnitude of 4-8x the competition) and less expensive overall. Thanks for all the support, Jason. Especially on places like Inbound and GrowthHackers! I haven’t really thought much about hosting and speed. I’ve been one of those whatever GoDaddy offer by default people. I’ll check out that link. Thanks for the super positive response, Madhu. It’s very encouraging to read words like happy, love, hope and inspiration! An excellent guide guys! In fact, I’ve already put it to use in the design of a landing page. Written in a way that anyone can understand and make sense of. Plenty “AHA” moments. I am not a web designer, so I made the changes myself, focusing mostly on your tips about attention and singularity, but also made changes regarding speed. I used this article as a reference as I was implementing the improvements. After the “re-design”, I used Hubspot’s website grader to check improvements as I went (to learn what was making a difference), and my score increased from “OK” to “Good”. This was well put together! I needed something like this to almost give an “aerial view” of how all of these different strategies work together. I’m already using some of these but there’s always room for improvement, and adding what’s missing can amount to a lot. I need to work on speed and attention part. I’ve gotten better with simplicity, singularity and most important clarity. I’ve had enough people in the past ask me what exactly I do to indicate to me that I wasn’t clear and actually kept what I promote simple enough for them to understand. Thanks for sharing Aaron! Have a great weekend! Yeah, attention is a challenge. Nailing the right emotion with the right words. That’s actually the one I think testing is VITAL on … because it’s so subjective when it’s just in my head. Let me know if you’ve got something you’re particularly proud of on the simplicity front … I’m always looking for good examples to share! Aaron, this is a great post. I thoroughly enjoyed reading this. For the past year, I have been explaining to my team internally, existing and prospective clients that Conversion optimisation is NOT just about split testing. While testing is vital, simply understanding what works can help SO MUCH when someone’s getting started. The point on being available (what you call accessible) surprised me. It’s always awesome for me to learn something new in the process of writing. Awesome content, as usual, Aaron. I’ve just printed off this article so I can use it as a checklist when working on my landing pages. I mean, everyone can speed up a website and “keep things simple,” but those who are able to understand their target audience, build trust, and command attention, are the ones who win. Wow, Josue … that was such an insanely encouraging comment. Thanks for taking the time to not just read this beast, but share your positive thoughts. It sounds like a super simple concept, but after wading through a few hundred client websites that made me feel like I was being smothered by fluffy pillows, I learned to love clear, clean writing. This one thing, above every other conversion trick in the book, is the thing that I believe delivers the strongest results. Without it, nothing else matters. Hi Ingrid … thx so much! And thx for reaching out and connect online as well. Loved the line about being “smothered by fluffy pillows” … so TRUE! We implemented the concept of (2.) Singularity on one of our landing pages. The test ran for two weeks. 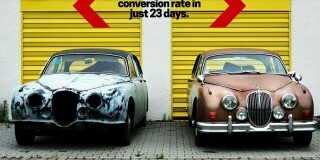 The result was a 90% lift in conversion rate.